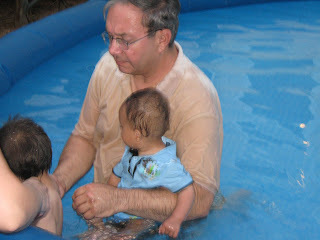 This is Aaron first swimming eperience which was during his trip to North Carolina. 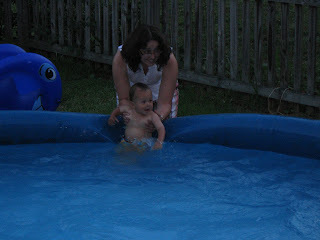 He loved the water and I ended up in the pool. 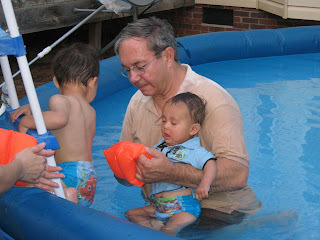 He was much more interested in the big kids pool then the little one. The next day he went in with Grandpa Barbee clothes and all. He loved it.